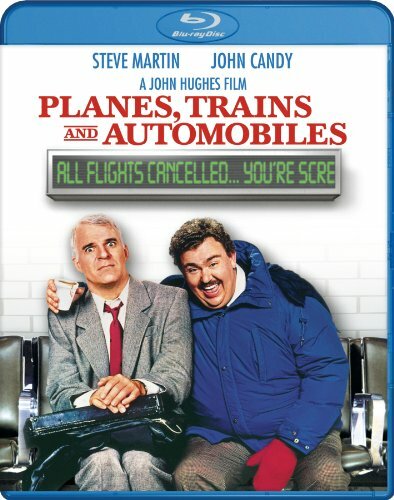 HOLLYWOOD, Calif. - Arriving just in time for Thanksgiving on November 6, 2012, the hilarious fan-favorite Planes Trains & Automobiles celebrates its 25th anniversary with a Blu-ray release from Paramount Home Media Distribution. Written and directed by the incomparable John Hughes and starring comedy greats Steve Martin and John Candy, the uproarious classic follows a businessman (Martin) who is struggling to get home for Thanksgiving, but burdened by one travel mishap after another, as well as the company of an annoying traveling salesman (Candy). Filled with outrageously funny situations and a generous helping of warmth, the film also features appearances by Michael McKean, Edie McClurg and Kevin Bacon. The Planes Trains & Automobiles Blu-ray features an in-depth retrospective on John Hughes' career that includes interviews with those who worked with him and explores his indelible impact as a writer and filmmaker. Additional features include "Getting There is Half the Fun: The Story of Planes, Trains And Automobiles", "John Hughes For Adults", a tribute to John Candy and a deleted scene. Suggested retail price: $19.99 U.S.